A Physics post-doc schemes to be allowed to test a newly developed time machine. Going back twenty years in time, in an alternate time-line, he befriends himself as a boy. He attempts to rescue his young self and his mother from lives of misery. This was a tough story to write—and an even tougher one to write about as it is, to a fair degree, autobiographical. I was very much the Dwin of the story and always wished for a dad or an older brother to guide me and help my mom and me through the frequent bad spells of poverty, hunger, and even homelessness. 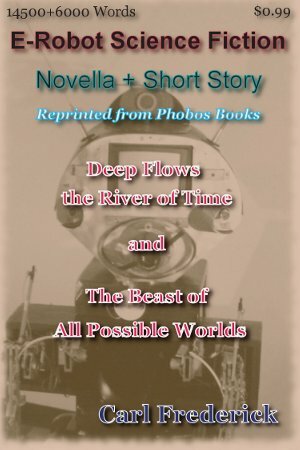 The story is reprinted from the Phobos prize anthology, 'Absolutely Brilliant in Chrome', 2004. I wrote this, the title story, because of the title, a play of words on .Die Beste aller möglichen Welten. The phrase was coined by Gottfried Leibniz for some heavy explorations in philosophy. I thought of the title and couldn't resist writing a story on it. This, I think, is the only time I've written a story after coming up with its title. The story appeared in 2003 in the Phobos Books prize anthology, Hitting the Skids in Pixeltown'.